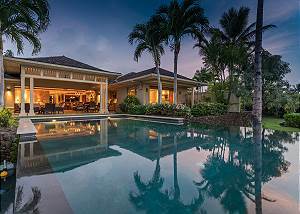 Designer furnished, this spectacular ocean view villa offers panoramic views of Maui and the Kohala Coastline. The spacious, split-level town home includes almost 3000 sq ft of living area and a unique outdoor courtyard in a relaxed, tropical surrounding. Two spacious floors with two living areas - if you like extra space, this villa may be just what you are looking for! One of the best locations on the Resort at Hualalai with unobstructed ocean views, this upper level corner unit features professional architecture and custom design. Easy walking distance to the beach and Four Seasons Resort amenities. New to Rentals! 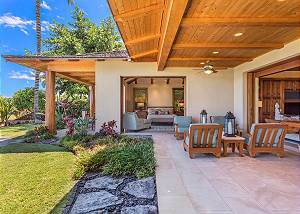 Best location with panoramic ocean views just minutes from the 4 Seasons, Sports Club & Spa and the Hualalai Nicklaus Golf Course. Custom, updated residence with lavish finishes, dual master suites with outdoor garden showers, pool & spa. Custom finishes throughout this stylish residence make it the ideal place to escape for a luxurious retreat. Dual master suites with outdoor garden showers and a large chef's kitchen highlight this home with private pool and spa; close to Four Seasons. 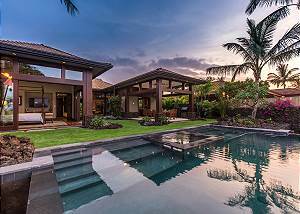 Beautifully decorated 3 bedroom, 3.5 bath home with pool and spa located just off the 14th green of the Hualalai Golf Course. Walking distance to all the great amenities of the Four Seasons - beach, pools, spa and more! 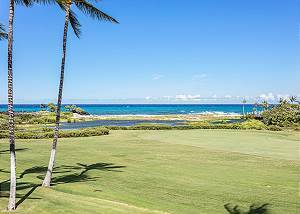 Spectacular ocean front setting with white sand beach and NEW SWIMMING POOL along the Puako tide pools. 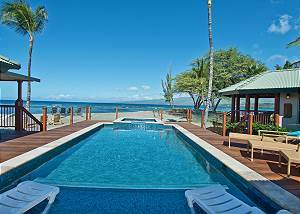 Ideal for ocean activities including swimming, snorkeling and paddling. 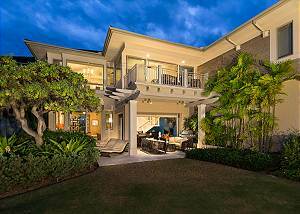 Luxury, Balinese-style home in one of Puako's best locations. 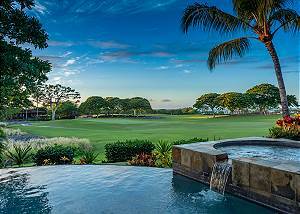 With panoramic ocean views, enjoy this exclusive private home at Hualalai Resort while enjoying the amenities of the Four Seasons Resort Hualalai. Main house of 3 bedroom, 3 bath and separate 1 bedroom, 1 bath guest cottage. Understated elegance and magnificent surroundings prevail in this serene and private setting, making Honuala`i the ideal location for your Big Island getaway. 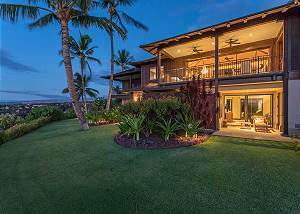 Gracefully set on more than one acre of waterfront property on the sunny Kohala Coast. 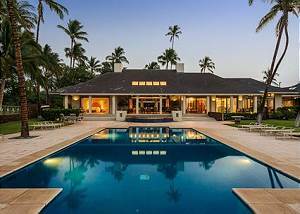 Luxury home at Hualalai Resort near the Four Seasons. Private pool and spa with open floor plan and gorgeous golf course and mountain views.